Bio is now updated and current. Enjoy. [Updated] - Live action movie Bio. RP INFO:Causeways Spark Mate is mostly Optimus Prime in Role play, stories an art only. As for people asking "Is he a femme version of Optimus prime, NO she IS NOT... Causeway is My Original Character and I worked hard on her. The only reason that she looks a little like Optimus is because she is a Semi truck (Big Rig) and there are only so meany ways you can have one Transform, Causeway is a much older and smaller truck then him, Causeway in TFP is a 1966 Autocar Semi Truck you can see what she is here, ( d323w7klwy72q3.cloudfront.net/… <---- this is what she is but Red with a metallic Orange hue.) that is what her truck is, but customized and fixedup. Please let me know what you all think thank you. 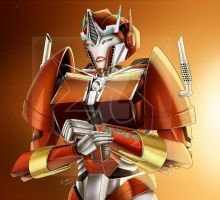 Elita One (yes that is my legal name now... I was known as Bonita Prime). Heads up: Please do not Critique this image,if you have any helpful Critiques! Please note them to me... if the Critique feature is not on, please do not Critique the image, send a note, thank you. Credit for Causeways Model goes to JPL-Animation. 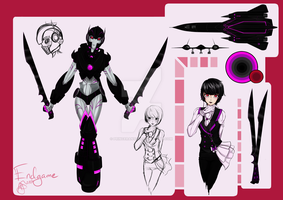 Causeway and Bio is (c) to Me Lady-ElitaOne-Arts (Elita One). Transformers names and info is (c) to Hasbro. Spelling mistakes aside, you've put together a fine bio on Causeway. Thanks for outlining what kind of truck she is (I kept hearing references to a Peterbilt). Is she Elita one's second-in-command? If the energy packs in her arms get drained, can she recharge them? So she can use her repulsion field more than once, but only once per charge? Yes and if she uses it she is unable to use her shock charge in her words. It a Bio an thank you. This is her TF Prime Bio, her movie verse is different. So... Does that mean that you'll make a bio for her movieverse Version too...? Ohhhh. Okay that's cool in a way they are if you look at it lmao. And I already have a movie Bio for her I just have it stored because I am editing the words because some do not sound right. Note me I will show you the old bio of her movie verse so you can see it. An it too needs a update. That is why it is in storage. Thank you! I just do what I can I also will have her movie verse bio updated too. I do rp but I have not role played in a long time, I just do not have time for it. But never know what the future holds. I am not sure yet I have been busy. An with all the copy cats an people using my OC I am not sure if I want too. Hey, I heard of the flack you went through with Causeway. I know lots of people who do this sort of thing, and trust me I've been there (apparently I'm 'notorious' for Mary-Sues). At least you do it for fun and you're not mean. I used to be buddies with someone who created a character named Jewelblade and she legit overdid it big time and could be a manipulative jerk to a lot of people, including me. I think she had BPD or something. Sincerely, the writer of Project: Red! Thanks an yes I am updating some things on her. You can watch to stay toned in it. I never said that she was a rip off. I said she was close to it. I find it awesome that you are working on her. Oh it is not just you who said it my friend, an thank you. This is sooo splendid forever!! Pardon? I am updating it an editing it. 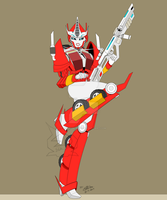 i dont know why but i love her Transformers Prime design better than the others that you have for her. it really shows her Beauty and Power. it's very easy to drop your guard around her but at the same time you want to respect her and if you dont...well lets just say she will destroy you or wont Hesitate to teach you a lesson. INDEED I am just editing her Bio. Thanks I been tired as hell, have not slept in two days. ><. Just not sure if I want to continue in transfers anymore. Thank you, 8i wish others would see that too. Don't worry about that, your Causeway is so famous, that whenever i write into the google Transformers Causeway, then i find a ton of pictures about her. 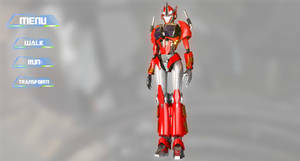 Like she would really be in the Transformers Series. I know but most of it is because people hate her so it is not a good kinda dame from what I hear.